TSA spokesman Nico Melendez said the agency is looking into the matter and had not received a formal complaint. 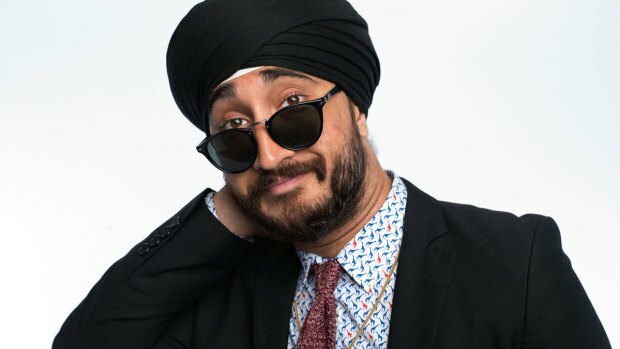 A Sikh comedian and YouTube star who was performing at UC Berkeley over the weekend said that the Transportation Security Administration made him take off his turban in private during the screening process, then walk in public with his bare head to retie the traditional head covering in the bathroom. Jasmeet Singh, also known as Jus Reign, began tweeting late Sunday night about his experience at San Francisco International Airport. He injected some self-deprecating humor into the situation, joking online about his public embarrassment. Sikh men are required to cover their hair at all times. "I've flown many times before and never been asked to remove my turban," Singh said. "I asked if it's okay if I leave it on" and the agents could "pat it down," he said. They refused. By Tuesday morning, his story had been picked up all across the globe, mostly because of his stinging Twitter comments, such as: "Hey dude, a shoe is not a turban. All I asked was for a mirror bruv." 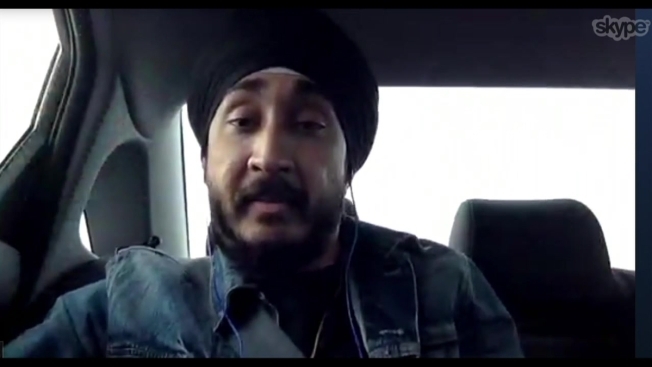 In a Skype interview from Ottawa, Canada where he was on his way to perform a comedy routine Tuesday night, Singh reiterated his story, saying he had no problem with taking off the turban but felt a "lack of respect" by agents who didn't seem to realize that forcing him to put the head covering back on in public is "embarrassing" for most Sikhs. "Asking a Sikh man to take off his turban in public is like asking a regular person to take off their pants in public." "I felt frustrated," he said. Then he added: "Unlike a hat or a shoe, a turban takes more time. I gotta make sure I look crisp." Harry Singh, who owns Tom's Outdoor Furniture in Redwood City, agreed. "It's not simply that we just wrap it up like this," he said. "It has to be well, nicely cleaned, and proper. We can only do in front of a mirror." TSA spokesman Nico Melendez said the agency is looking into the matter and had not received a formal complaint from Singh. The TSA manages the private company, Covenant Aviation Security in South San Francisco, whose employees do the baggage screening at SFO. But according to documents provided by the Sikh Coalition, the Department of Homeland Security received a similar complaint from a Phoenix traveler in 2008, and promised in 2012 that the TSA would provide mirrors in these booths across the country. "They agreed, and they didn't do it here," coalition senior staff attorney Gurjot Kaur said by phone from New York City. "For a Sikh to be without their turban in public is akin to being naked. It's very humiliating." A Sikh comedian and YouTube star who was performing at UC Berkeley over the weekend said that the Transportation Security Administration made him take off his turban in private during the screening process, then walk in public with his bare head to retie the traditional head covering in the bathroom. Peggy Bunker reports. Singh's experience is the second in less than a month during which a Sikh-American was stopped at the airport for wearing a turban. Waris Ahluwalia said attendants at the airport in Mexico City barred him from boarding his Aeroméxico flight back to New York City on Feb. 8 because he didn't want to take off his turban in public. The airline has since issued an apology. "This incident inspires us to make sure that we strengthen the customer service protocols," the statement read in part. Singh said he had Ahluwalia's experience in his own mind when he simply put his long hair in a bun and covered it with a bandana when he walked along the public airport terminal to put his turban back on. He's shown his hair before, but thought it would be more horrifying for those more observant than he is. Sikhism, a 500-year-old religion founded in India, requires its male followers to wear a turban and beard and keep their hair uncut. Many members of the Sikh community have objected to the practice of frisking turbans, calling it unnecessary in a world with machines for body scanning and metal detection. "Considering all the screening that they do and all the technology, you'd think they'd be able to use it to look through our turbans and see if there is anything in there," Harkeeret Kaur said. "It's just our hair." As of 2010, U.S. guidelines no longer require air passengers to remove turbans if doing so makes them uncomfortable. They may, however, be subject to additional security screening, including pat-downs by TSA officials. The Toronto-based comic said he had never been asked to take his turban off, but eventually relented because he was told he couldn't board if he didn't. The agents let him take off his turban a private room, he said, where his head cloth was sent through an X-ray machine for "safety" reasons. "After finding absolutely nothing wrong because a turban is just cloth and the whole thing is stupid I ask for a mirror to tie it back again," Singh tweeted. Singh said the agent then told him he could put his turban back on if he walked to the bathroom. "FAM WHAT WAS THE POINT IN TAKING ME TO THE PRIVATE ROOM IF U JUST TELL ME TO WALK OUT TO THE NEAREST RESTROOM TO PUT IT BACK ON AGAIN," he tweeted. Singh said the ordeal, which garnered media attention across the globe, won't deter him from honoring his faith, or from cracking jokes. "I know dudes that don't even wear turbans to airports anymore," he tweeted, "because they have to deal with this bull---- but I choose to cuz i look swanky." NBC Bay Area's Peggy Bunker contributed to this report. so I get into the private screening and take it off and they body search me and put my turban through another X-ray machine because "safety"